Which star signs are the most unfaithful? Summer is here! And this season is the perfect moment to take a look at our horoscope sign to see what the stars have in store! Thanks to a lucky star, some of us will have a thrilling and adventurous summertime. Will our star sign have a positive influence on the summer season? Will it lead us to meet new people and be more daring? The answers might be found in the study* led by Gleeden.com, the first extramarital dating site made by women, to determine which star signs are the most unfaithful! Created in 2009, Gleeden.com is the leader of extramarital dating websites, with more than 2 million members all over Europe. 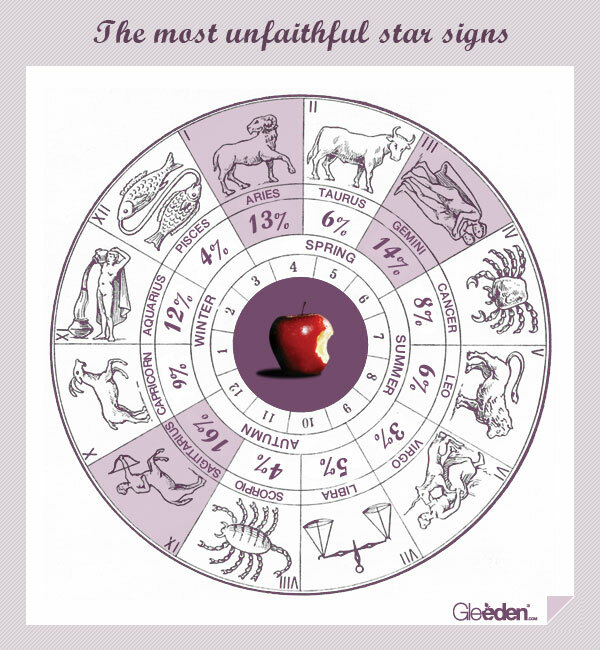 Discover the ranking of the most unfaithful star signs! This ranking shows many differences between star signs when it comes to infidelity! Sagittarius run the first place of this ranking, with 16% of Gleeden members born between November 23rd and December 21st. People born under this Fire sign are the most likely to yield to temptation and have an affair. Their passionate and rebel personality keeps them away from falling into a boring routine. Also, they can sometimes be very impulsive. Gemini take the second place of this astrological ranking! Indeed, 14% of Gleeden members were born between May 21st and June 21st. Gemini tend to be very open-minded, they are always seeking for new adventures. They are quite flighty when it comes to relationships and despise limits in general. Gemini are also good smooth talkers: they love flirting and seducing! 13% of Gleeden members are born between March 20th and April 20th which means that Aries is the third most unfaithful star sign! Spontaneous and impulsive, Aries hate the routine and would do anything to spice up their life. As natural leaders, they enjoy meeting new people and are very charismatic. 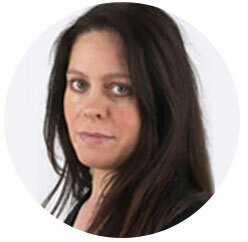 Sarah is a Paris-based psychic with more than 20 years of experience. 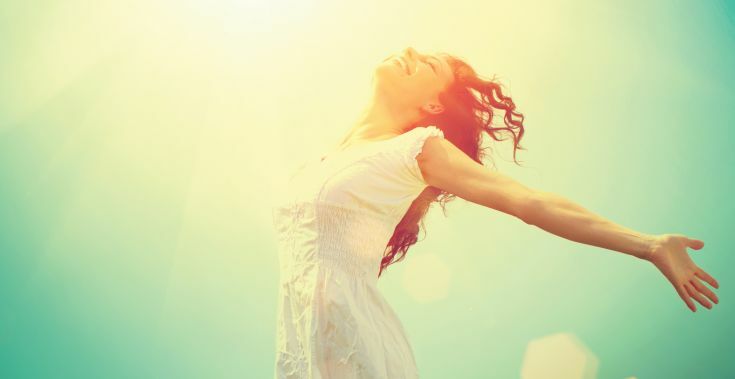 She confirms the accuracy of the ranking, as she sees many similarities between the results of the study and what she daily observes during her consultations. Discover her analysis of the ranking made by Gleeden! “Symbolically, it is interesting to see that the most unfaithful star signs belong to the same astrological group. Sagittarius, Gemini, Aries and Aquarius are called masculine signs: they are active and have an outgoing personality. Sagittarius and Aries are Fire signs; Gemini and Aquarius are Air signs. Fire symbolizes action and conquest; Air is linked to communication and casualness. The first three most unfaithful signs are free spirits and very passionate. They don’t ask themselves too many questions before doing something: they simply dare!”. She states: “The most faithful signs are Earth signs (Virgo, Taurus, Capricorn). People born under this sign tend to be rational and stable. Water signs are also the most faithful (Pisces, Cancer, Scorpio). They have a dreamy personality and tend not to be very dynamic. It is important to note two exceptions: Leo (Fire sign) and Libra (Air sign) do not appear in the ranking. My analysis is that Leo’s idealism tempers their zeal while the wish for harmony of Libra is stronger than their desire to seduce”. As a conclusion, she says: “According to their star signs, people have very different views on life and therefore on fidelity and infidelity in relationships”. Galentine’s day: what was once a day to celebrate friendship is now an excuse used by women to go see their lover! Addicted to video games? That could mean “game over” for your relationship! Ladies, brace yourself for Mistress Day! Jealousy, the fatal flaw of the unfaithful!